2014 Tesla Model X Vs. 2012 Toyota RAV4 EV: Electric SUV Showdown? The 2012 Toyota RAV4 EV is unique, the only all-electric compact sport-utility vehicle sold by a major automaker in the U.S. Behind the wheel, its Tesla-developed powertrain makes it peppy but quiet, while it maintains all the cargo and people space of the original gasoline version. There’s really only one vehicle that’s even close to comparable, and that doesn’t exist yet: the 2014 Tesla Model X all-electric crossover, of which prototypes were unveiled in February. Comparing a real car to a hypothetical one is an exercise in speculation. 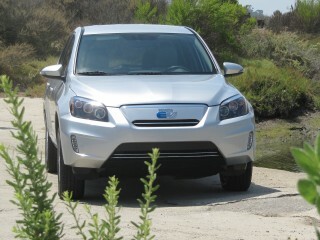 But spurred on by a review on TheStreet.com that suggests buyers view the Toyota RAV4 EV as a Tesla for half the price, we decided to do it anyway. SIZE:The 2012 Toyota RAV4 EV is a compact crossover, in the popular segment that includes the Ford Escape, Honda CR-V, and Nissan Rogue. The 2014 Tesla Model X, on the other hand, is a segment larger, competing with the Toyota Highlander, Honda Pilot, and undoubtedly pricier and more luxurious import-brand SUVs like the Audi Q7, BMW X5, Range Rover, and Mercedes-Benz GL. 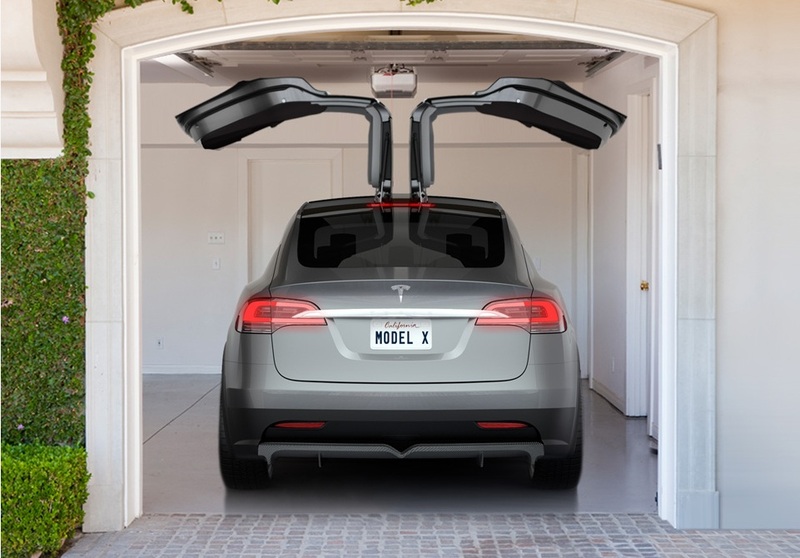 Tesla Motors [NSDQ:TSLA] says the Model X has the dimensions of the Audi Q7 but 40 percent more interior space. SEATING: The RAV4 EV seats four comfortably, five in a pinch. The electric Teslasport utility, on the other hand, will offer seven seats (as does the Model S sedan with its optional jump seats, though the last two are only child-sized). WEIGHT: The electric RAV4 weighs 4,030 pounds, while no weight has been given for the Model X. Since it’s larger, we’d expect it to be rather heavier than the Model S sedan on which it’s based, which comes in at 4,650 pounds for the 40-kWh version. BATTERY SIZE: The RAV4 EV has 41.8 kilowatt-hours of usable pack capacity, though oddly Toyota won’t give the total pack size. 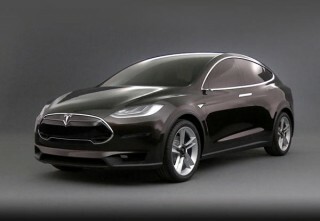 The Model X will offer 60-kWh and 85-kWh options, though unlike the Model S sedan, it won’t have a 40-kWh version. POWER: The Toyota RAV4 EV uses the same electric motor as the Tesla Model S sedan, but its power is limited to 115 kilowatts (154 horsepower) by the battery pack output.The Tesla Model X will likely use the Model S motor–with peak power of 270 kW (362 hp)–in the standard version, and two electric motors (one per axle) of unspecified power for the all-wheel drive model. Tesla says there will be a Model X Performance edition as well. DRIVE WHEELS: Toyota’s electric RAV4 is offered only in front-wheel drive, although Toyota’s program leader Sheldon Brown said that at least one all-wheel drive prototype was built, adding a second motor at the rear to complement the existing one up front. The Model X will be offered with rear-wheel drive standard, plus an optional all-wheel drive version that adds a second motor for the front wheels. VOLUME: Toyota will build only 2,600 RAV4 EVs for the 2012 through 2014 model years. Tesla has said it could sell 10,000 to 15,000 Model X crossovers a year once full production levels are reached.